I read this article and found it very interesting, thought it might be something for you. The article is called A Guide On How To Create A Facebook Group And Build A Community. and is located at https://www.theofficerocks.com/guide-create-facebook-group-build-community/. Not only is creating a Facebook group a great way of building a community for your customers on Facebook, but it could also be a sneaky way of getting past Facebook’s algorithm changes to ensure you are reaching your full potential target audience. 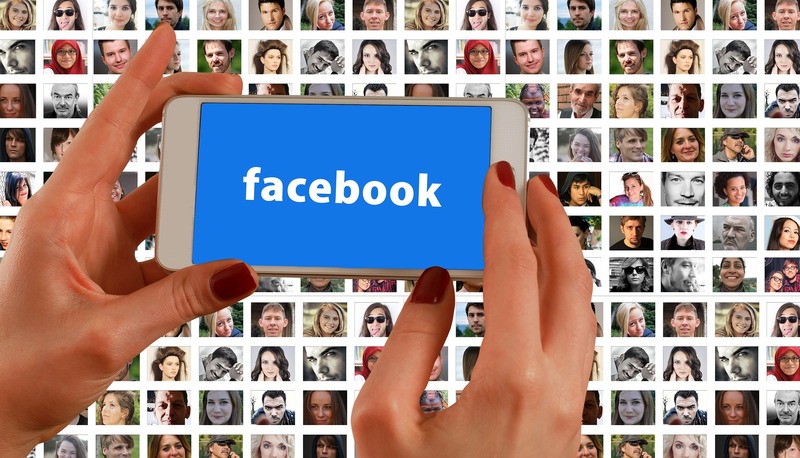 Everybody knows Facebook is making it increasingly more difficult for businesses to ‘be seen’ on potential customers timelines, but creating a group could be just what you need to help you with strangled reach. Of Facebook’s 2 billion active monthly users, a whopping one billion of them use Facebook groups. How to build a Facebook group. Building a Facebook group is extremely simple and takes no time at all to set up. However there are a few things you need to remember before you get started. First things first, Facebook groups are very different to a normal business Facebook page. Your business’s Facebook page is there solely to sell and promote your services, whereas a Facebook group aims to build more of a community. Your group shouldn’t be used as a place to sell or advertise, this will completely defeat the object and repel users. You need to build up rapport with your group members in order to create a place where they can go to feel secure away from all the salesy stuff. Think of your target audience, who you aim to reach? What sort of community would they be likely to take an interest in? Creating your group is just a case of opening up the dropdown menu by clicking on the downwards arrow and then selecting create group. So first of all you’ll be asked to think of a name for your group. Keep it simple and easy to find. We have three main Facebook groups to compliment three of our brands. 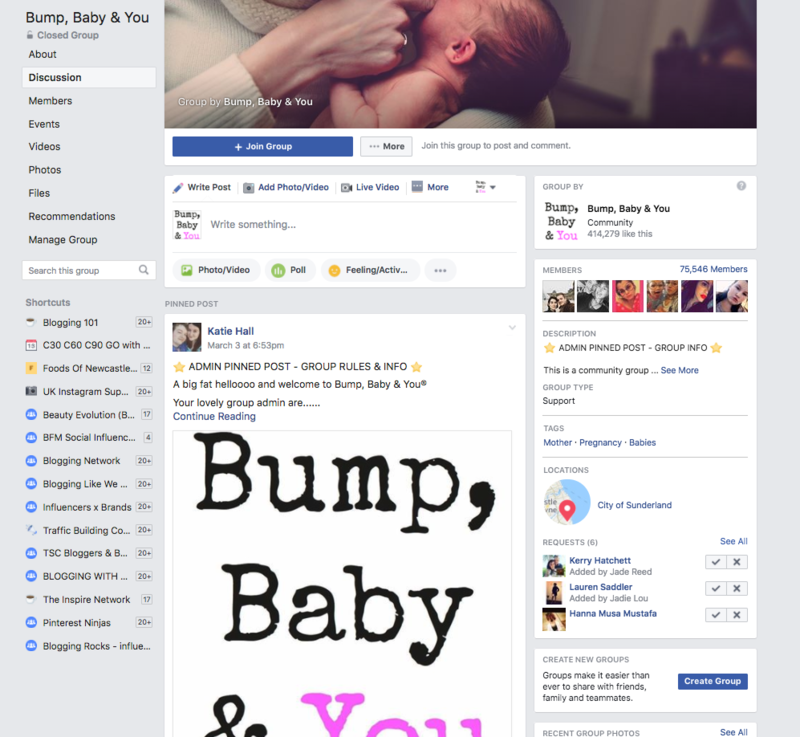 We currently have a pregnancy and baby group to compliment our Bump, Baby & You brand. 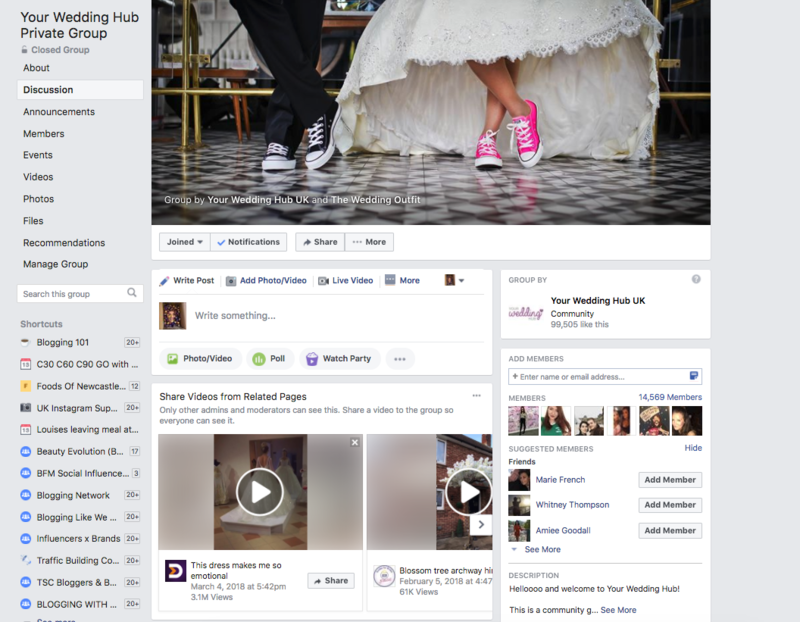 A wedding group to compliment our Your Wedding Hub UK Facebook page and a blogging and influencer group to compliment our main page itself! The Office Rocks. As you can see, all would appeal to our target audiences, pregnant women/new mums, brides to be or bloggers. Your Wedding Hub Private Group. 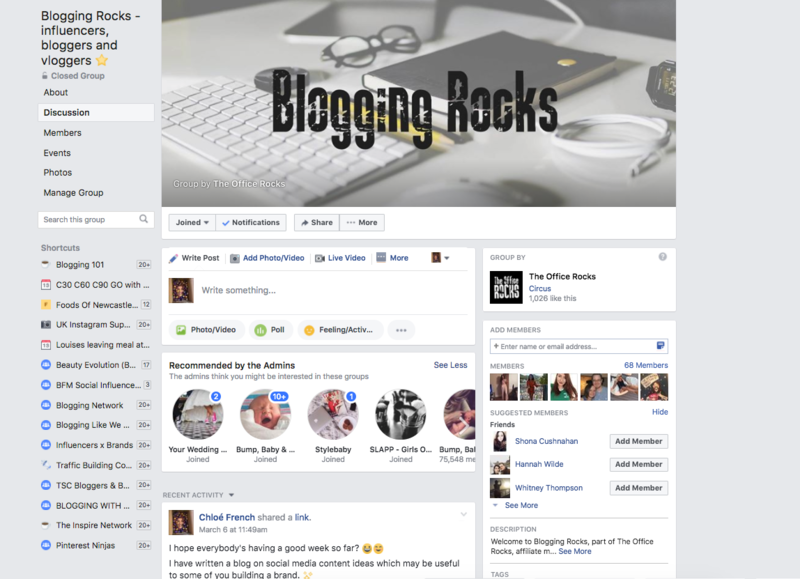 Blogging Rocks – influencers, bloggers and vloggers. 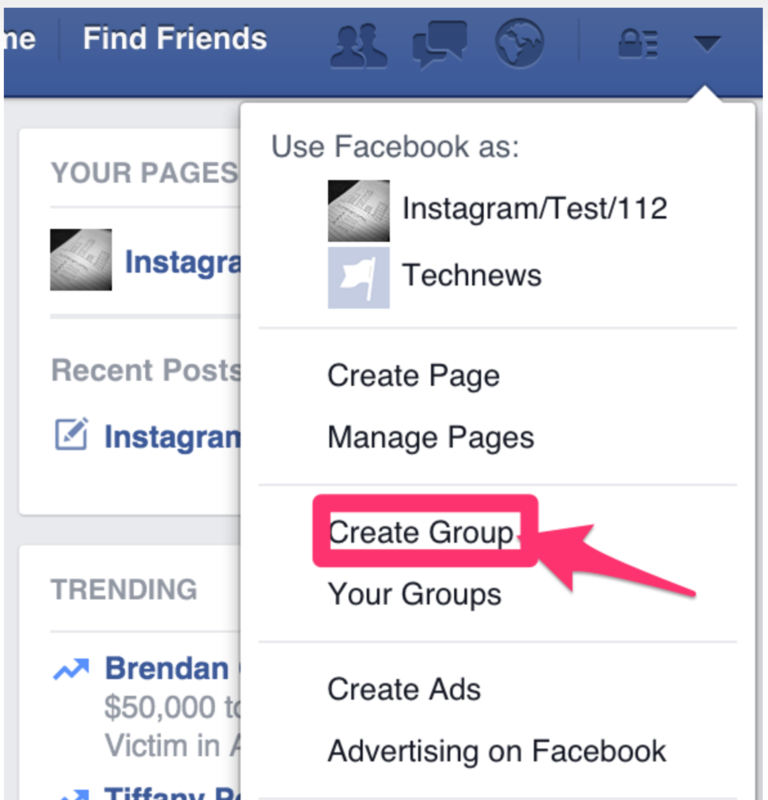 You can link your Business’s Facebook page to your new group too so It’s easily accessible to all new group members. This also enables you to post and interact as your business whilst keeping a separate space for members to interact and build relationships. We always start by pinning some group rules to the top of the page so It’s the first thing new members read when they join our closed groups. This prevents people from joining and immediately trying to advertise to our members. Make it clear that anybody posting advertisements will be banned. As our larger groups have grown over time, we have made decisions to recruit other admins to to help us monitor and keep everything right when we aren’t available to keep a careful watch ourselves. The stronger your relationships are within the group, the easier this recruitment process will become. How to grow your Facebook group. When it comes to promoting your group, social media is a great place to start. Share it across your social media channels and current audiences and they’ll soon encourage others with similar interests to get on board too. You can promote your group through Facebook Ads to attract even more interest, and if you go down this route you’ll also be able to target your ad so you’ll be more likely to be seen by your target audience. The more your group shows up in people’s timelines, the more likely they are to join. How to boost engagement in your Facebook group. It may seem like an obvious one, but engaging with your members regularly is the best way to build your group! This is the only way your group will continue to grow and reach its full potential. Ask lots of questions that will spur interaction and encourage conversations. You can never really over do it with a group. Post your company blog posts in there, however, I would recommend trying to do it in a more conversational way rather than a promotional way. Use your blogs to spark debates and opinions within your group. Remember unlike on your Facebook page, your posts will appear to everyone, Facebook isn’t selective with who sees group posts. It’s always great to share articles from other sources too. Anything that may compliment your groups topic. Make people feel welcome, why not try a welcome video for your new guests? Or even a simple post mentioning their name to add a more personal touch. Who doesn’t love a shout out? To do this, simply write a post and start typing the new members’ names. You can mention as many members as you want to in a single post. Setting up a schedule is another great way of building momentum for your group. One idea could be to have themes on certain days for people to engage in. Remember to make good use of all Facebook groups features. The list of possibilities for engagement are endless. We love our groups because they really take our brands to a new level. What a Facebook group could ultimately provide your business, is a circle of loyal customers who would be prepared to buy from you time and time again. 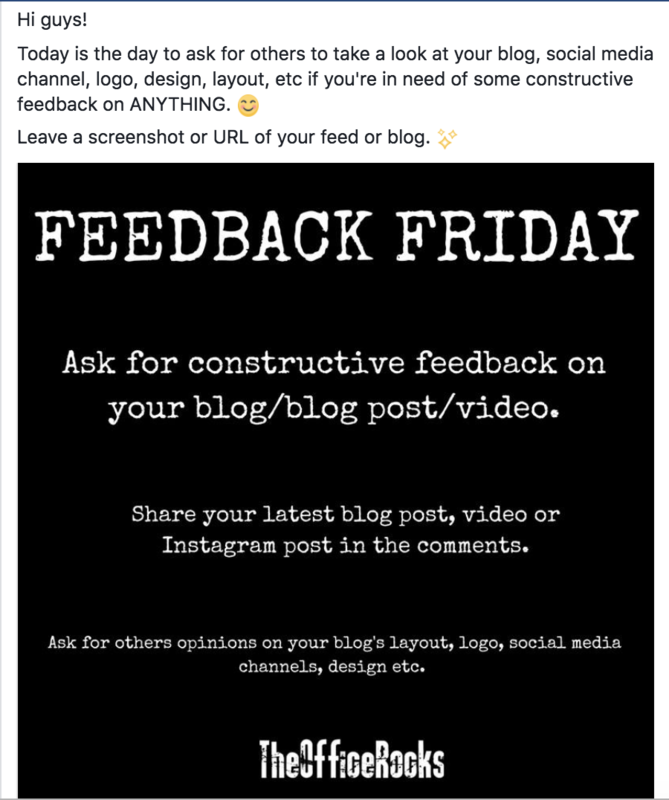 Read: Social media content ideas to help keep your pages fresh.